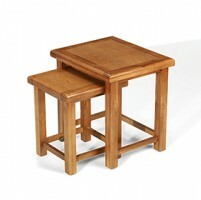 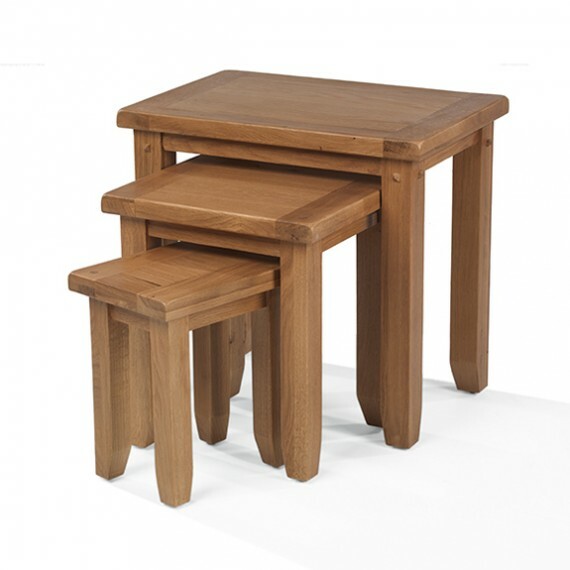 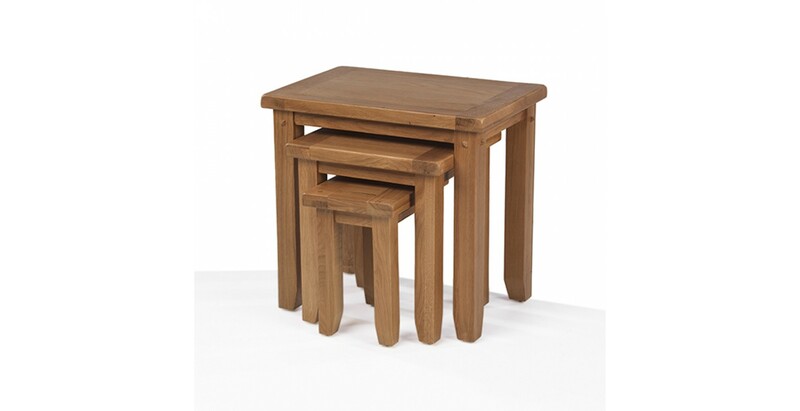 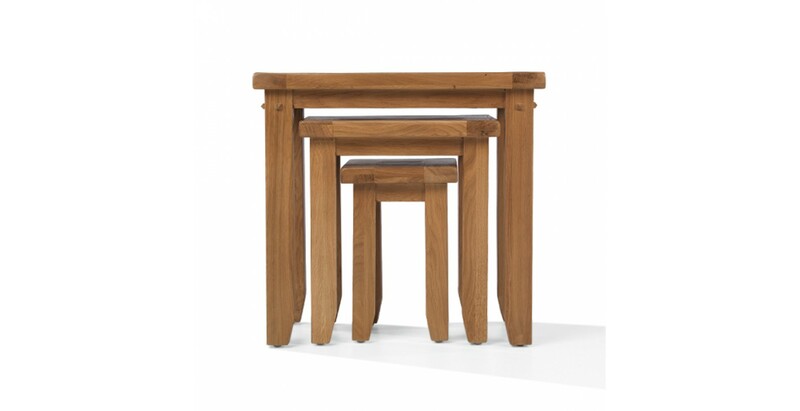 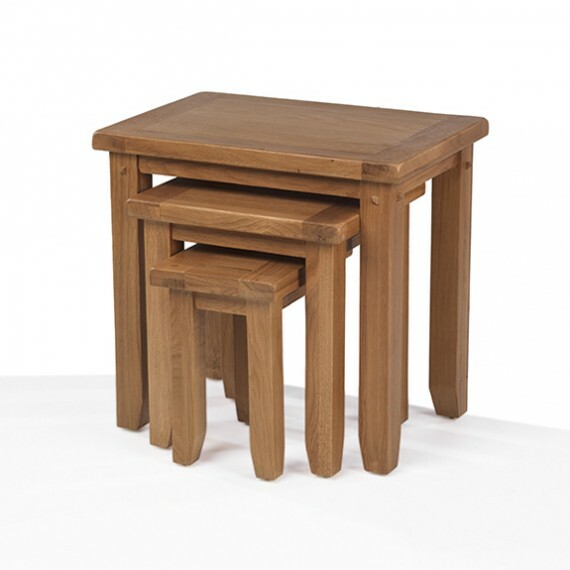 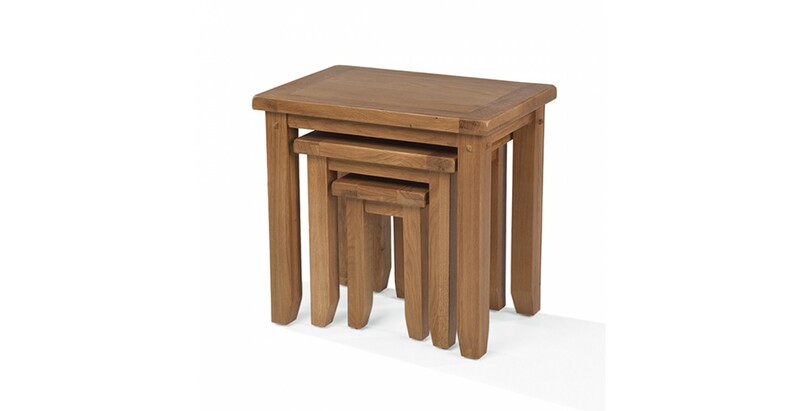 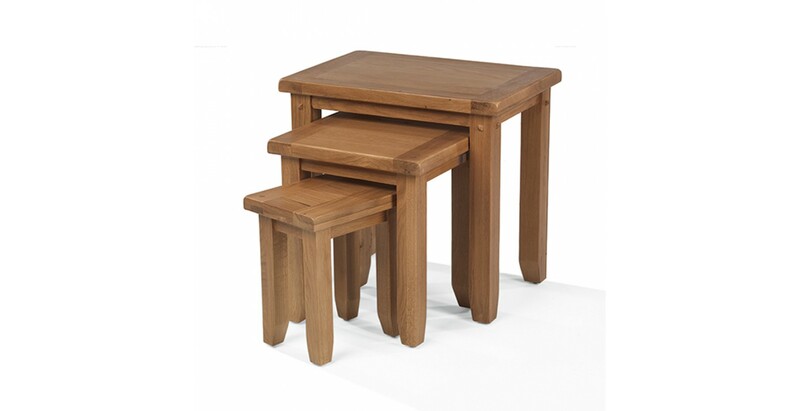 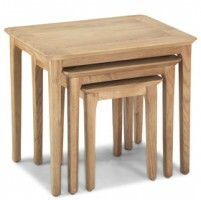 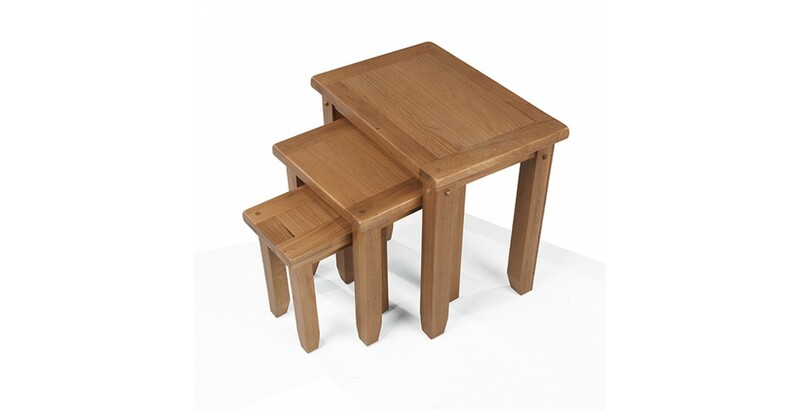 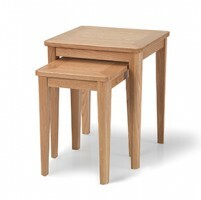 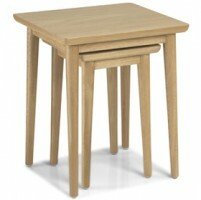 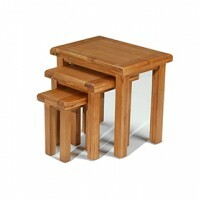 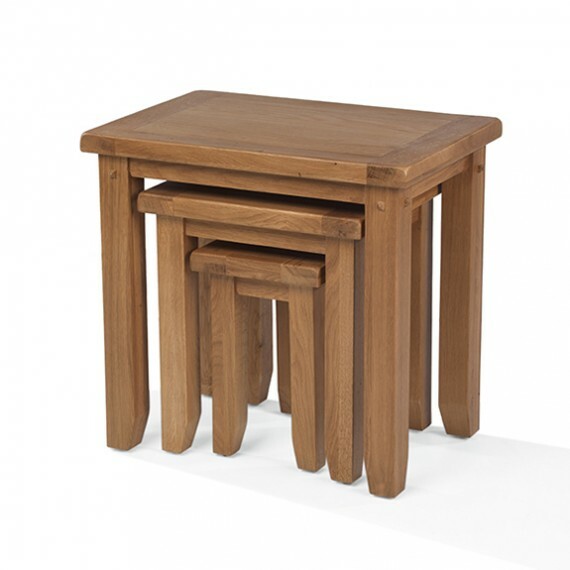 You can always find lots of uses for a nest of tables and this versatile trio is no exception. 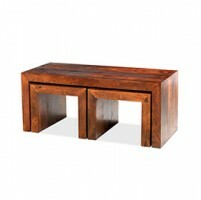 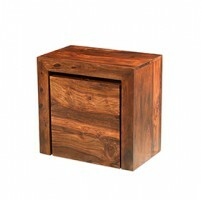 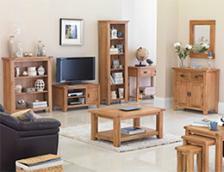 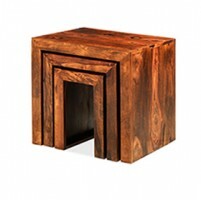 Nice and chunky and made from oak, they can look after drinks and snacks when you have guests round, hold a lamp to light up a dark corner, and the largest one could even be a make-shift coffee table when you want to eat in front of the TV. 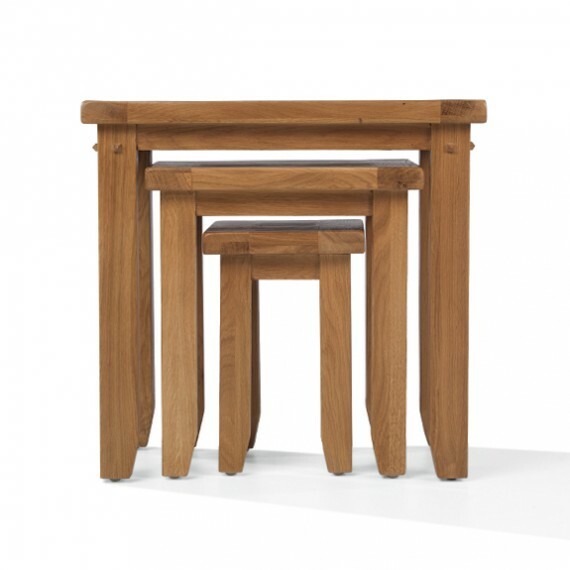 Attractive features abound – rounded corners, peg detailing and elegantly tapered legs all adding to their country-style appeal.